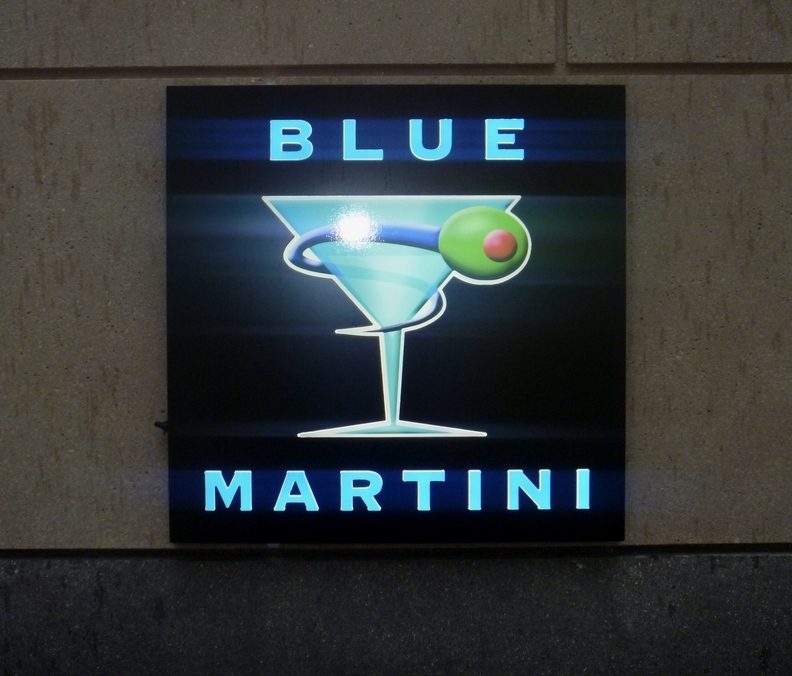 Blue Martini is a national chain with locations in places like Vegas and Ft. Lauderdale. This one is in "The Bravern," a classic Bellevue complex of upscale shops and tony apartments, which is generally about as busy as a church on a Monday night. But BM pulls in a pretty reasonably sized crowd, and while it may go ridiculously unmentioned among the attractions listed in some reviews, the star is obvious as soon as your server arrives. 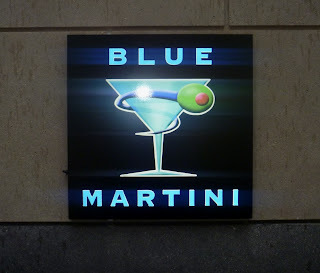 Hence when judging the food and drinks here it is only fair to bear in mind that these products are secondary -- everything at Blue Martini is secondary -- to the cleavage. With that in mind, you might be a bit more patient with over-priced, over-sweet cocktails, which seem designed for 16-year-old girls. If one diligently applies oneself, you *can* find a cocktail fit for non-teenagers (e.g. consider the Cucumber Martini), and if you arrive during happy hour you can get both food and drinks for an average club price, minus the considerable bosom tax that leaves mediocre drinks in the $15 range. The food is actually pretty good. 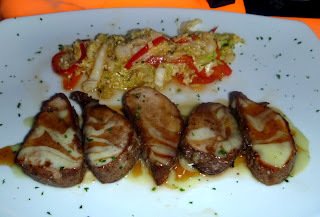 The cleavage is served in ample portions and in various appetizing presentations. The place is fairly packed and lively with the after-work crowd, with live music starting most nights at 7:30.